A grand piano is one of those things that are simply out of this world. If you are a music enthusiast, you will appreciate the beauty and performance like no other. They represent a zenith of what the human society has to offer in terms of music. If you are planning to buy one, you are one of the lucky people who will have the homer of owning it. Grand pianos are not for cheap discounts or shallow pockets. They are expensive and rightly so. The workmanship has to be fabulous. This is so crucial that they are given individual names. The reputation is created by the manufacturer and the artisan who created it. Even today, the heads of states, have a grand piano somewhere in their lobby or even private quarters. There is a Steinway in the White House. 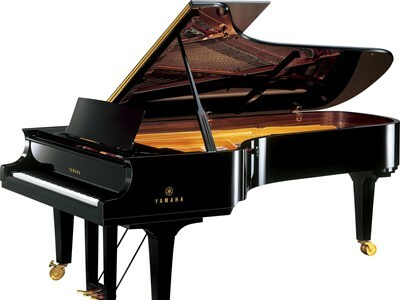 Steinway is one of the most renowned manufacturer. These pianos are gold plated and considered objects of art worth investing. Every grand piano has its own history. Owning one shows off your achievements to the society and states that you are a patron of the arts. Unfortunately, not all owners even know how to play it. A pianist would melt at the sight of a Steinway grand piano. It is considered an honour to be able to play on it of repute. The richness of sound comes from its length. The length can be up to an impressive three meters for a concert grand piano. It all has to do with the strings and their behaviour. The length helps to produce sounds that are not harsh. They are almost like nectar of the gods. The frame and strings are placed horizontally. The hammers are beneath the strings. When the key is pressed, the hammer strikes the chord and falls back naturally. This permits the player to strike the keys in exceptionally quick succession and create a richer music. The pianist has better control over the keys and can repeat the keys exceedingly swiftly. Modern times have seen the emergence of a baby grand piano. These pianos are around 5 feet long from the end of the keyboard to the very back of the instruments. Because of their relatively portable size, they are more popular in living rooms of grandiose mansions. Musicians tend to buy the medium sized ones. They are approximately 6 feet long and are able to satisfy even the fussiest music connoisseurs. Music teachers and colleges of repute prefer these mid-sized pianos. Grand piano is something like a diamond. You buy and possess it. It grows in value with time. Even as it changes ownership, stories are attached to it. They are given individual names, and the pianists are often identified by the musicla intruemnts they play. Owning one is a unparalleled privilege.